Beautiful project neck, professionally refretted so it is new to play but wonderfully worn in with the patina and lacquer checking that only 50+ years of actual play wear can provide. Complete w the original set of kluson deluxe tuners. 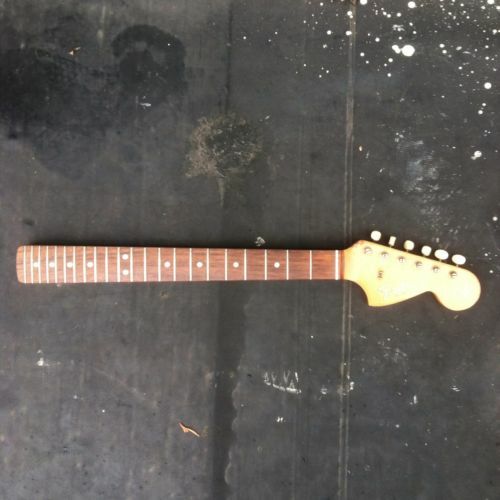 Great for any Mustang, duo sonic, jaguar, musicmaster project that needs a 24″ scale. No reserve!